Our diet has a huge impact on our physical and mental functions, and it might offer the explanation you are seeking for your quick weight gain, memory fog, bad mood, and even the accelerates rate of aging. 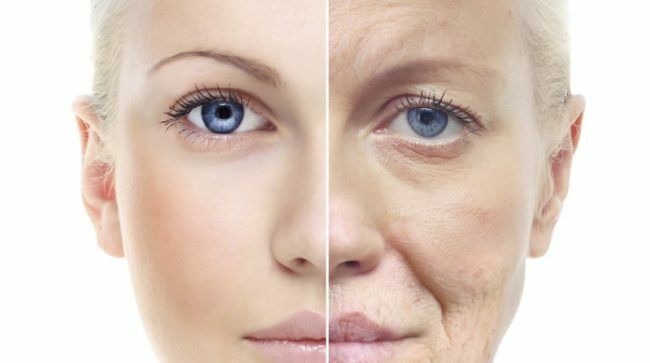 We cannot prevent the natural process of aging, but there are certain things that can help you age slower. The food we consume affects the rate at which your metabolism works, and while proteins boost it, complex and refined carbs significantly slow it. A slow metabolism increases the risk of various health conditions, linked to an impaired inflammatory response, and an accelerated aging process. “Inflammation is the body’s natural immune response to anything it recognizes as a threat, and the reaction is meant to protect your health. Without a certain degree of inflammation, your health would be at risk from invading bacteria, fungi, and viruses. Some foods, such as refined carbohydrates, sugary foods, and red meat, can cause inflammation in your body, so eliminating or reducing them in your diet can keep you healthier and reduce the signs of aging. Additionally, “attempts to combat or reduce the effects of aging have dated as far back as mankind itself. Most people want to look and feel young, driving experts to invest many hours and thousands of dollars into finding silver bullet anti-aging formulas. While there isn’t a special formula that magically erases the wrinkles away, incorporating certain anti-aging foods into your diet is the best way to help bring you closer to that goal. They are rich in beta-carotene, a potent antioxidant that protects the body cells and DNA from free radicals, that cause aging. They also contain the nutrient falcarinol, which has anti-cancer properties. To reap these benefits, consume them raw and whole. Salmon is a rich source of healthy fatty acids, which ward off age-related cognitive decline, as well as potassium, that prevents the development of heart disease. The high selenium content regulates the hormones, improves thyroid health, and keeps the metabolism revved up. All citrus fruits, like oranges, lemons, limes, grapefruit, mandarins, and tangerines, are rich in vitamin C, a powerful antioxidant, anti-aging carotenoids, and flavonoids, and successfully prevent age-related cognitive decline, cancer, and heart disease. Products derived from soy like tofu and edamame prevent cellular aging. Edamame is rich in isoflavones, a class of phytochemicals with powerful anti-cancer, anti-inflammatory, antimicrobial, and antioxidant properties. Tofu is abundant in protein, essential amino acids, and minerals like zinc, calcium, copper, magnesium, manganese, and phosphorous. They are rich in fiber and protein, so they regulate blood sugar keep you full and build muscle while burning fat. Beans are low on the glycemic scale, so they do not slow metabolism not cause inflammation in the body. You should increase the intake of black, kidney, navy, pinto, garbanzo (chickpeas) and dried peas. Healthy foods effectively reduce the physical and mental effects of aging. Therefore, make sure your diet is rich in them, and you will remain healthy, and age slowly and beautifully.